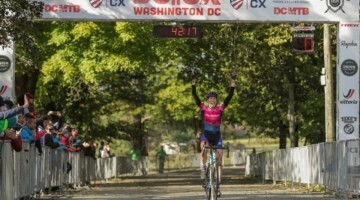 October 25, 2009; Conshohocken, PA, USA: Arley Kemmerer of Hub Racing Club and Ryan Dewald of Battley Harley-Davidson each won the elite races in the third annual DCCX cyclocross race in Washington, D.C. 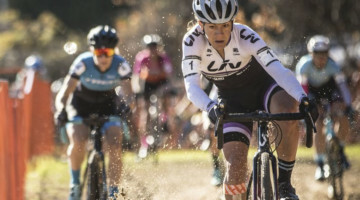 The race, which is run by the DCMTB biking team with Family Bike Shop as the title sponsor, had a record 533 racers on a course carved into the landscape of the seldom seen Armed Forces Retirement Home. 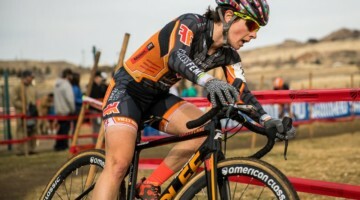 Kemmerer powered up the opening blacktop climb to take the head of a lead group, and then pulled away from her chasers at the tricky uphill barriers on the first lap for a convincing win. Dewald was part of a group of three, including 18-year-old phenom Joseph Dombrowski, which established a gap over the rest of the elite field. With three laps to go he powered up that same blacktop climb, riding away from both Dombrowski and Greg Wittwer. 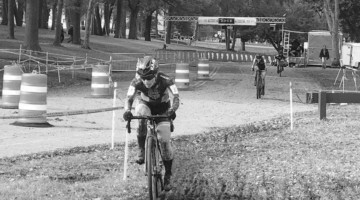 He then rode solo to the finish. Tags: arley kemmererDCCXryan dewaldwashinton d.c.